Table tennis is now an integral part of the summer Olympic Games. It only seems like yesterday, but in fact we've been watching table tennis at the Olympics for more than thirty years already. Because it was in 1988 - in Seoul, South Korea - that table tennis first joined the Olympics and became an Olympic sport. 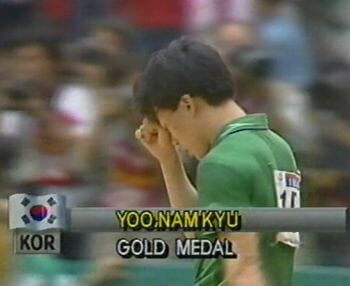 I remember eagerly setting my video recorder for the table tennis events and watching Yoo Nam Kyu win the men's singles gold medal in his home country. Fantastic. I can hardly wait for the next olympics. 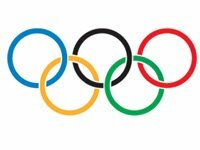 So where and when are the next summer Olympic Games? The next summer Olympic Games are in Tokyo, Japan from 24 July to 9 August 2020. Let's hope they produce more fabulous table tennis memories. 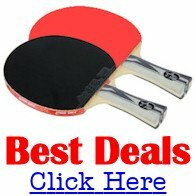 But how did the Olympic Games take its place in the history of table tennis? The story begins back in 1932 when the International Table Tennis Federation (ITTF) took steps to secure the holding of table tennis events as a demonstration sport at the 1936 Olympic Games in Berlin. However, that did not happen. And so in 1937, following a proposal by Yugoslavia and Japan, which was supported by Hungary and Germany, the ITTF decided to try and secure table tennis events within the 1940 Olympics. Significantly though, England (who had the the largest table tennis membership of all countries at the time), were against this proposal. However, with no further progress having been made by 1938, and with the outbreak of war in 1939, all international table tennis activity ceased and the 1940 Olympics due to be staged in Tokyo and the 1944 Olympic Games in London, did not take place. After the war, the English Table Tennis Association convened a meeting in London in 1946 where representatives of England, Czechoslovakia, Denmark, France, Ireland, Jersey, Netherlands, Sweden and Wales all met to discuss the future of international table tennis. It was agreed that the ITTF should be revived, and the issue of table tennis becoming an Olympic sport was again discussed. There was also debate about whether table tennis should be part of the summer or winter Olympics. However, at the time, there were also concerns about the amateur/professional status of players, and whether the rules of table tennis would need to be changed in order to become part of the Olympics. ITTF Chairman Ivor Montagu, was strongly opposed to table tennis becoming an Olympic sport, as were the British Olympic Committee. With London preparing to stage the 1948 Olympics, there were also concerns that there were too many sports already taking part, and that the number should be decreased, not increased. Ivor Montagu considered that the Olympic Games should be restricted to athletics and similar events, and in particular, sports which did not have their own world title competition. Additionally he was concerned that if the sport applied to take part and was not accepted, it would be a humiliation for table tennis. However, representatives from Denmark, Jersey, Netherlands and Sweden were in favour of applying to join the Olympics, whilst the representative from Czecholslovakia was against. With England, Wales, Ireland, Scotland and France undecided, it was agreed that each country's representative should approach their own National Olympic Committee and report back to the ITTF at a later date, whereupon a decision could be made. A decision was later made - not to progress this matter further. The 1954 Annual General Meeting of the ITTF once again discussed the issue of including table tennis in the Olympics. At the request of the Swiss Association, the ITTF decided to seek further information and report back later. However in 1957, following behind-the-scenes discussions, it was evident that it was not the right time for seeking inclusion within the Olympic Games and the matter was once again shelved. In 1967 the French Association proposed that the ITTF once again investigate the possibility of affiliating to the International Olympic Committee (IOC), and it was agreed that further information would be sought. These investigations continued throughout the rest of the decade. By 1971 it was clear that the ITTF constitution would prohibit any recognition by the IOC because it did not declare that it was an amateur body. In 1973 the IOC informed the ITTF that if the ITTF amended their constitution to include a reference to amateur status, recognition would be possible. This prompted further discussions about the amateur or professional status of players. By 1975 the IOC had also set up a special committee to examine sports which were not in the olympics. At their Biennial General Meeting in March 1977, the ITTF discussed the issue once again. By that time they had already submitted an application to the IOC for formal recognition as an olympic sport, and were informed that they would receive a response by June of that year ... and that it was likely to be refused. The ITTF therefore decided to withdraw their application, amend their constitution to include references to amateur and professional status, and then reapply. In 1979, the required wording was agreed for insertion into the ITTF constitution, and the organising committee of the 1984 Olympics in Los Angeles wrote to the ITTF enquiring about the possibility of including table tennis as a demonstration sport in 1984. With the definition of amateur and professional status being agreed and incorporated into the ITTF's constitution, 1981 saw the IOC vote table tennis into the Olympic Games. Although table tennis never appeared at the Olympics as a demonstration sport, by 1985, discussions were taking place about how table tennis would make its debut in 1988 in Seoul, South Korea.